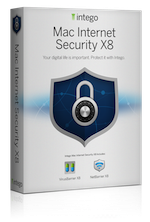 Macworld has published a thorough review of Mac Internet Security X8, Intego's latest anti-virus and Internet security software for Mac. We are incredibly proud and excited to announce that Mac Internet Security X8 won the Macworld Editors' Choice award as the best Mac Internet security solution for OS X.
Macworld took an in-depth look at "six of the best anti-virus solutions for Mac users." 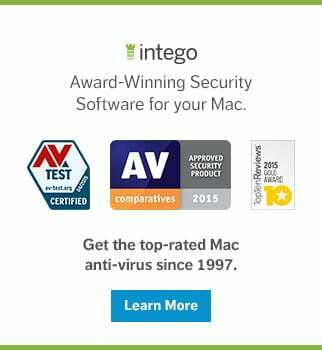 Intego's Mac Internet Security X8 was chosen by Macworld to be a part of the group test, and subsequently reviewed and judged against the others based on several factors, including the most important aspect of anti-virus software: its ability to actually stop and detect malware. In the review, written by Andrew Harrison, Macworld found Mac Internet Security X8 to be "one of the most effective malware solutions for OS X." Andrew's comparison of the six best Mac anti-virus solutions looks in detail at how well they performed in malware protection tests for spotting malware—Mac Internet Security X8 clearly stands out. In malware protection tests by Security Spread, Intego VirusBarrier X8 detected 415 out of 422 samples, returning a score of 98.8 percent, the highest rate of all security suites on test here. […] VirusBarrier X8 also had the best results in routing out installed malware traces, missing only one component from 107 traces to give a detection result of 99 percent. False positives were limited to one erroneous result from the 11 samples fielded. If you want software that consistently scores highly for spotting malware, Intego is for you. In the last lab test, VirusBarrier X8 and its predecessor took first and second places here. It’s a simple program to install and setup, lacking some of the detailed options of some others but it also proved to have minimal slowdown of Mac resources in normal use. Intego is thrilled that our Mac Internet security software has been recognized with the Macworld Editors' Choice award as the best anti-virus solution in its class. You can head over to Macworld to read the Mac Internet Security X8 review in its entirety. 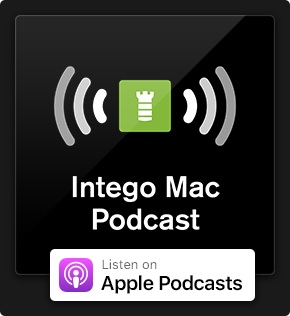 Protect your Mac against malware, strangers, and suspicious applications with Intego's award-winning Mac Internet Security X8. This entry was posted in Intego, Recommended, Software & Apps and tagged antivirus, award, Editors Choice, Internet security, Mac, Mac antivirus, Mac Internet Security, Macworld, OS X, review, X8. Bookmark the permalink.